This article is a briefing report on March 14th. We will introduce planned items in the presentation images including future new products to be reserved from today. Kintetsu is a major private railway in Japan with a vast network of routes in Nagoya and Osaka areas. Among them, "Urban Liner" is one of the famous express trains. 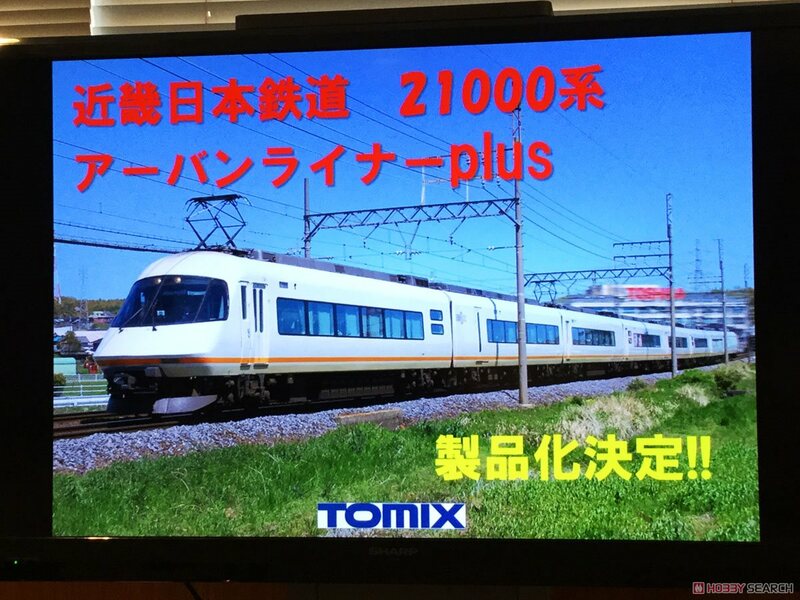 Thirty years ago, TOMIX commercialized Kintetsu Series 21000 "Urban Liner" but it was not reproduced for a long time. The real train is renewed afterwards and it is now "Urban Liner plus" and it reaches now. There is no doubt that the product announcement of "Urban Liner plus" was long-awaited for many Kintetsu fans. Urban Liner Plus will be produced after making a new mold. Standard Set＋Additional Set = 8 Car full unit. The Limited Edition comes standard with TN Coupler. 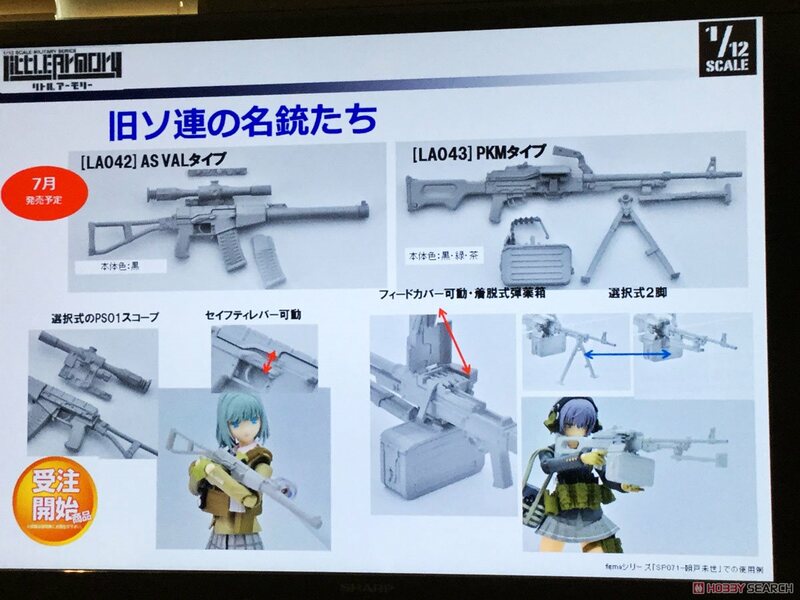 "SHIKI-SHIMA" was announced at past briefings. However, prices, specifications, scheduled release dates, etc. are not decided. TOMIX says "I want to finish it in cool SHIKI-SHIMA better than anywhere." 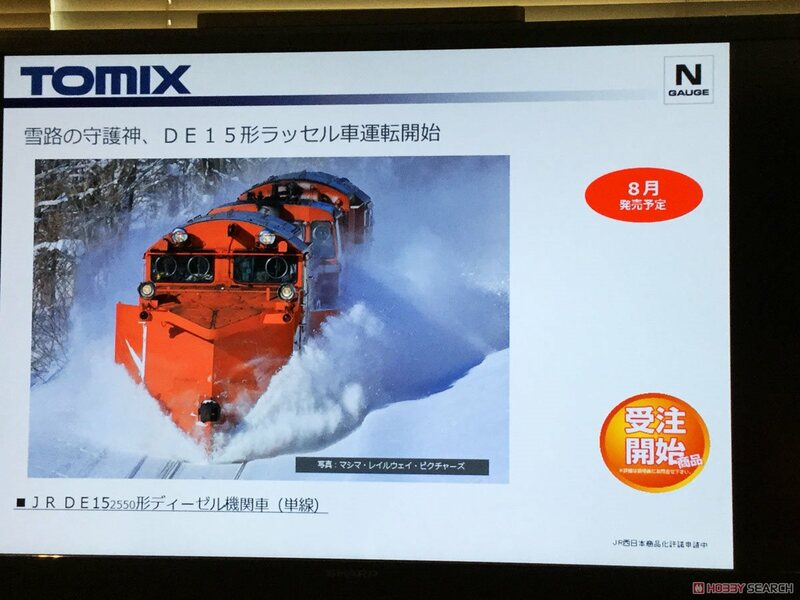 DE15 is Diesel Locomotive for snow removal. It is operated in Japan's heavy snowfall area. TOMIX has already announced the commercialization of it. However, due to the development that took time to develop, reservation began today. It seems that it was difficult to design the structure to light the headlight. "New" but "Old", it is Series 35. Production in progress!! 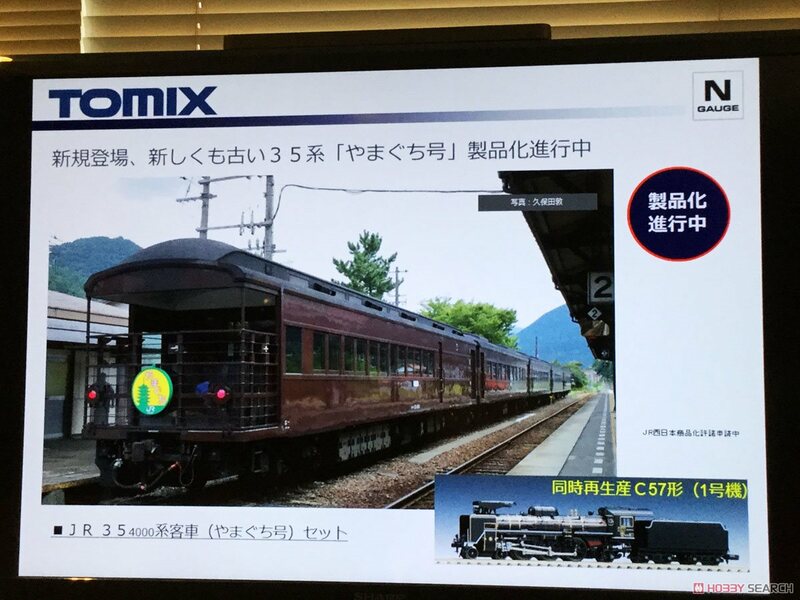 The new type of Coach used for SL Yamaguchi has been designed exactly like coach of a few years ago at the national railway. Many Japanese railroad fans were surprised at this incident. TOMIX is talking about development as aiming for a cool model including a characteristic part. It is planned to reproduce C57-1 as well. It will be able to connect with KIHA 181 too! Once in the Ou Main Line there was a steep section called Itaya Pass. Itaya Pass was canceled by opening Yamagata Shinkansen. 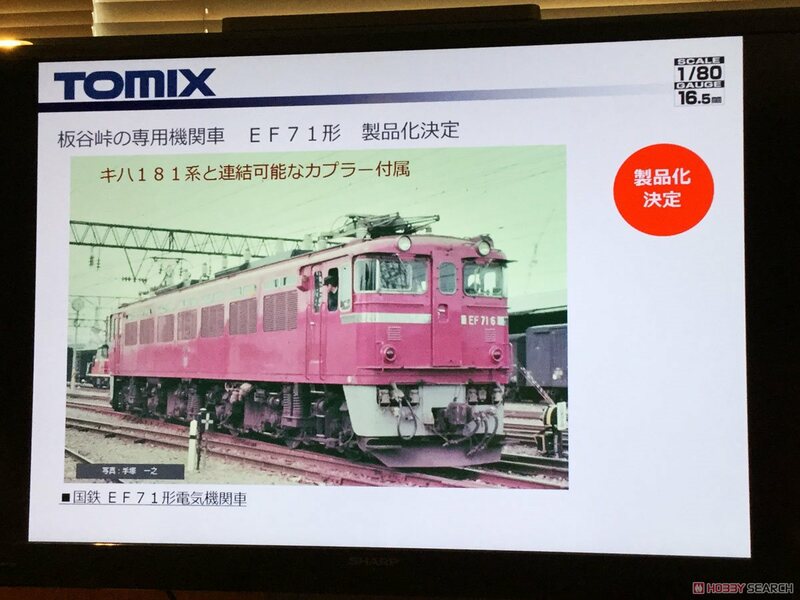 Electric Locomotive made for Itaya Pass is EF71. Detailed specifications of the model will be announced as soon as it is decided. TOMIX has several trains that can be enjoyed in combination with EF71. 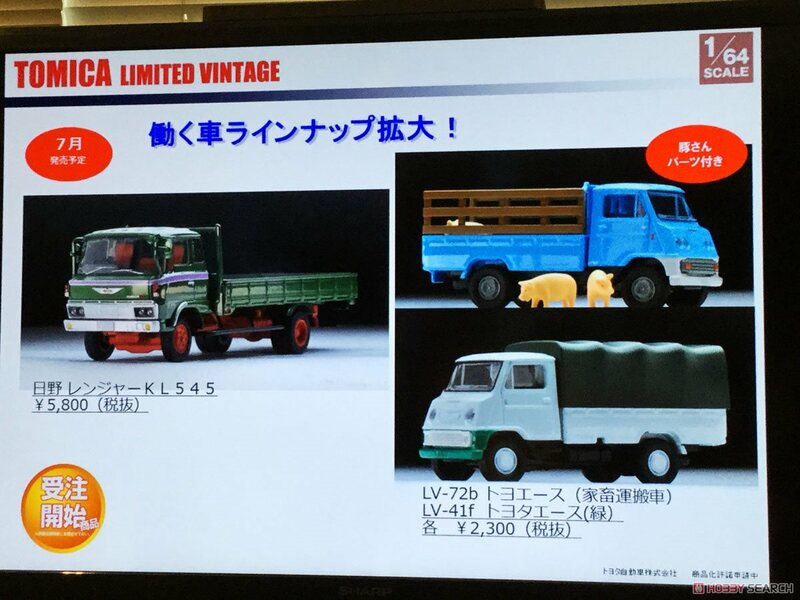 If you combine KIHA 181 and EF 71, you can reproduce the former "Tsubasa". If you combine Coach Series 50 and EF 71, you can reproduce the local train of the former Ou Main Line. Proposing a new way to enjoy the railroad model. 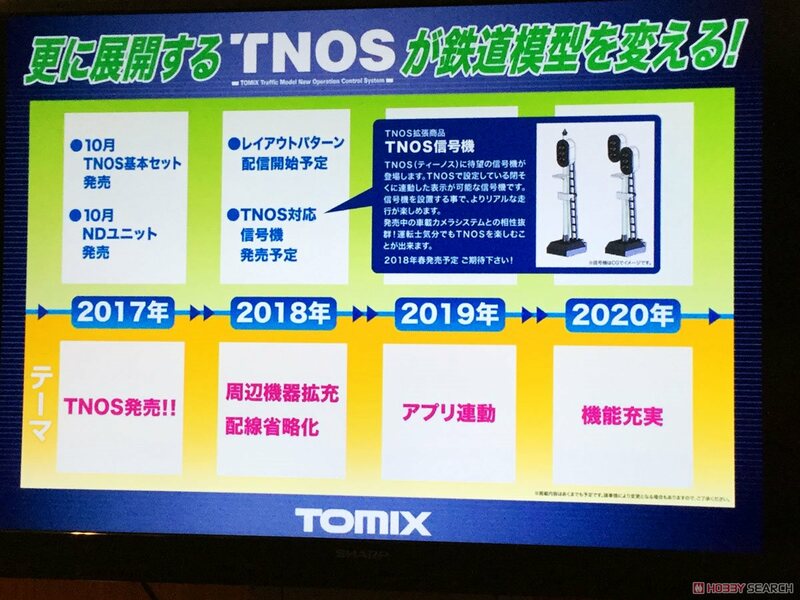 That is TOMIX's new system "TNOS". TThis is the future development of TNOS. - In 2017, TNOS released. * October, TNOS Standard Set and ND Unit release. * A new Layout pattern will be delivered. 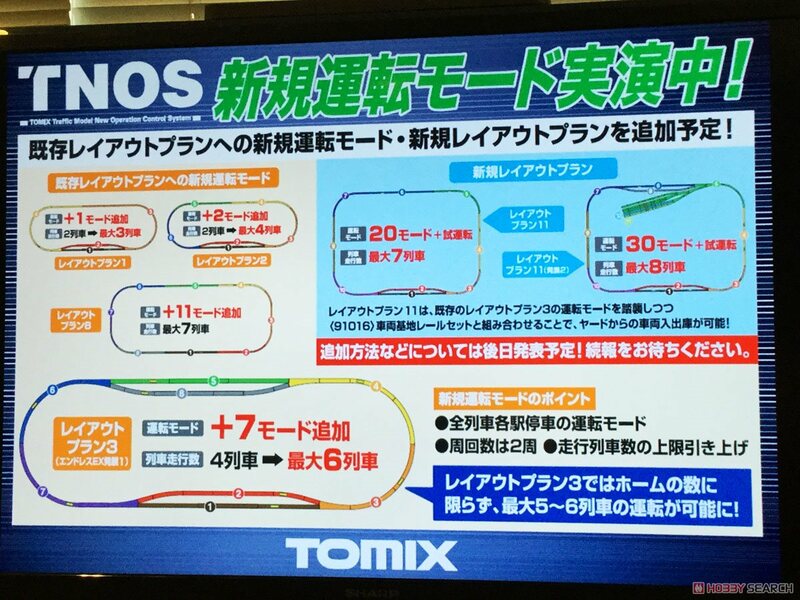 * Signals linked with TNOS will be released. TNOS will be updated soon. The method will be announced at a later date. The results of the election conducted by TOMIX in 2017 were announced. It seems that the vote for Kinokuni Seaside was the most frequent. 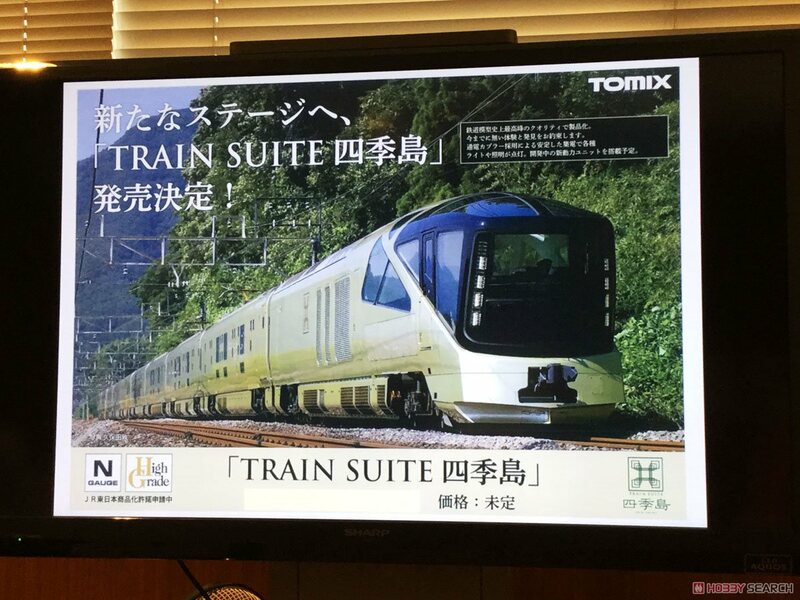 Therefore, TOMIX will commercialize Coach of Kinokuni Seaside. 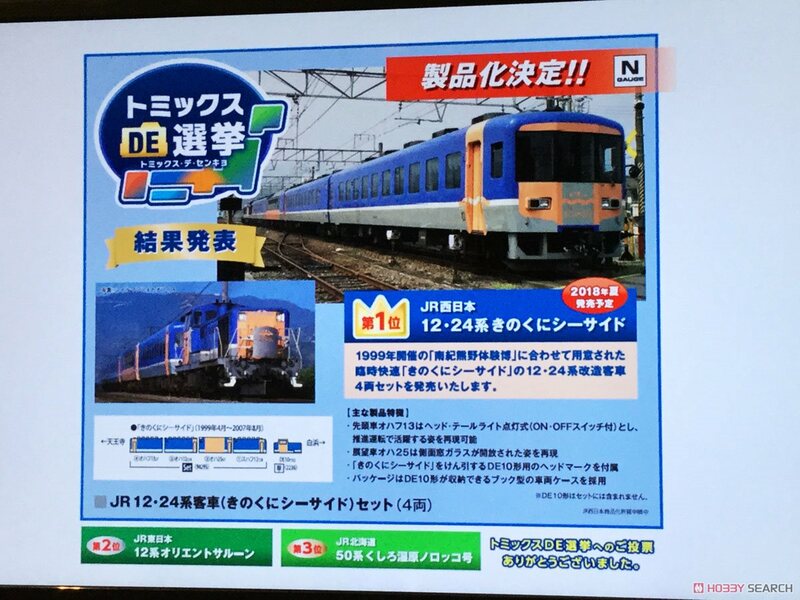 Uzui Station of JR Sanko Line becomes a model! J.R.Sanko Line is now drawing attention. This local line will be abolished at the end of March 2018. 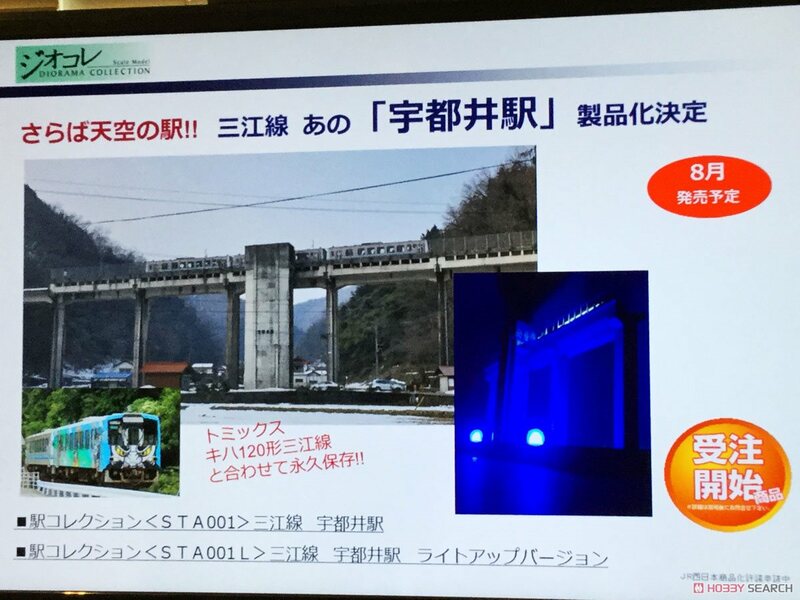 The most unique and famous station in Sanko Line is "Uzui Station". There is only a staircase in the tower where you thought that it was a lift. This is a rare station in Japan. Tomytec starts the Station Collection. What is the first bullet ...Sanko Line Uzui Station!! Two types of normal version and light up version are commercialized. Combine with TOMIX's KIHA 120 Sanko Line, let's save the popular station of Sanko Line permanently with a model. 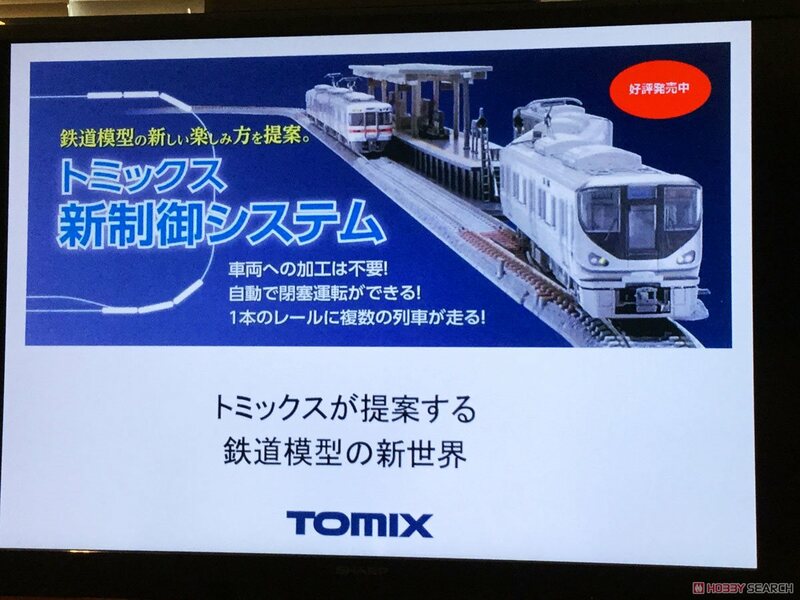 TOMIX track, train, power supply (controller) are sold separately. 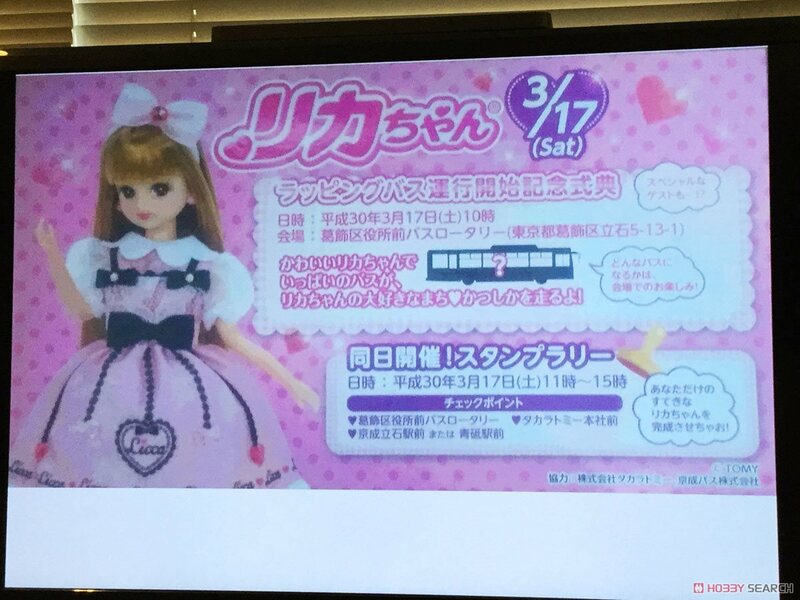 Licca-chan's wrapping bus will appear in Keisei Bus. The ceremony will be held at Katsushika City Hall on March 17, Japan time. 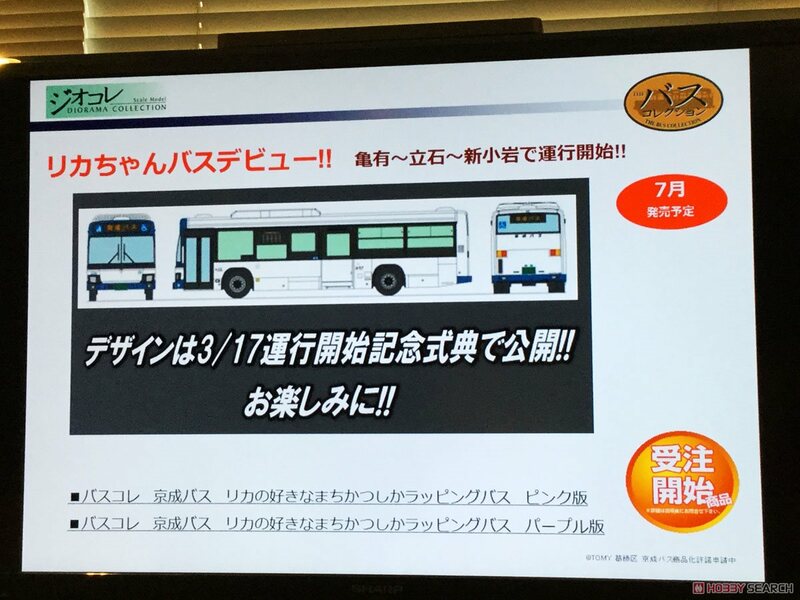 Please look forward to what day the design of the bus will be! Please see this sitefor details. Kameari to Shin-koiwa via Tateishi!! 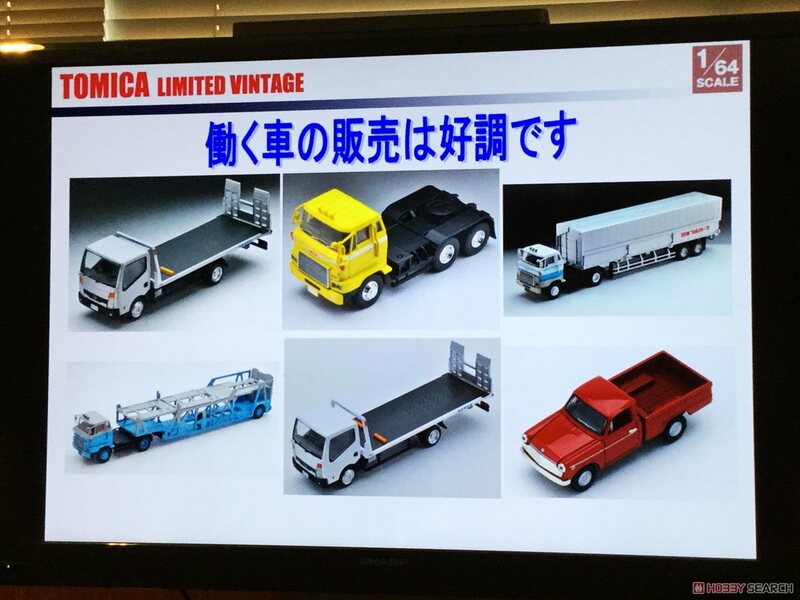 TOMYTEC will model the Licca-chan wrapping bus as early as N Scale! "Working car" is popular in TLV. TOMYTEC will further add "working car" to TLV! The new work of Little Armory is a lineup based on the name gun of the former Soviet Union.